After spending two years in jail, Sahara chief Subrata Roy is currently out on parole. 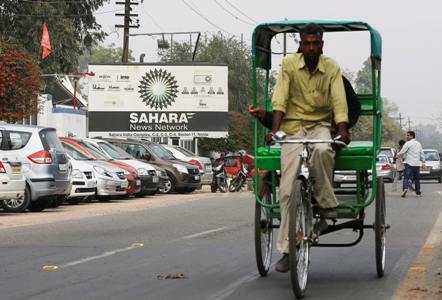 Markets regulator Securities and Exchange Board of India on Thursday added 16 more land parcels of Sahara group, with a reserve price of Rs 1,245 crore (Rs 12.45 billion), to the list of properties to be auctioned next month for recovery of funds. This has taken the total number of properties of the beleaguered group to be auctioned to 42 with a combined reserve price of Rs 4,345 crore (Rs 43.45 billion). More properties worth an equivalent amount are expected to go under the hammer in the coming days. In separate notices on Thursday, the Sebi said SBI Caps will auction eight properties on July 20 at a reserve price of over Rs 666 crore (Rs 6.66 billion), while HDFC Realty would conduct an e-auction for another eight properties on July 18 at a reserve price of Rs 579 crore (Rs 5.79 billion). SBI Caps has already lined up two separate auctions on July 7 and July 13 while HDFC Realty is scheduled to auction land parcels on July 4 and July 15. Both will auction 13 properties each at a combined reserve price of Rs 3,100 crore (Rs 31 billion). HDFC Realty has been roped in to auction 31 land parcels at a reserve price of Rs 2,400 crore (Rs 24 billion), while SBI Caps has been asked to auction 30 land properties with an estimated market value of about Rs 4,100 crore (Rs 41 billion). These properties are spread across the country and mostly include land parcels. As per the court directions, they cannot be sold at less than 90 per cent of the circle rates. He was sent to jail on the orders of the Supreme Court in a long-running dispute with Sebi.